Fermentation is the healthiest and the simplest way to preserve food. It also helps to keep your gut healthy and keep your immune system strong. If you are fan of fermentation or a beginner just looking to make your first batch of homebrew, we have found the perfect books to get you started. This cookbook is probably the most comprehensive guide on fermentation. It covers many aspects of the craft including history, concepts and processes behind the fermentation. The book reveals many recipes and techniques covering vegetables, meads, wines, beers, ciders, beans and seeds, milk products, fish, meat, eggs and others. This book will inspire you to try recipes and make things you never knew existed. Another great cookbook by Sandor which explores the culinary magic of fermentation. The cookbook is focused on the specific ferments like bread, cheese, wine, beer, coffee and chocolate. The book gives a little push and courage for healthier lifestyle by providing step-by-step guides on how to make different ferments and the importance of those in our everyday diet. A very comprehensive cookbook covering over 120 recipes for fermenting 64 different vegetables and herbs. 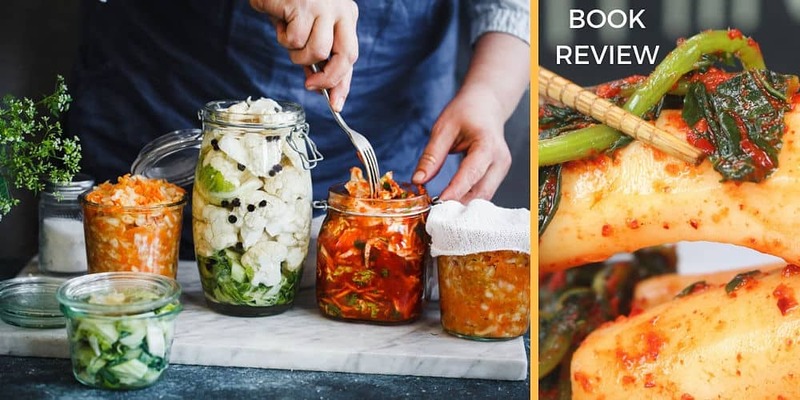 Firstly, you will be introduced to lacto-fermentation science, then you will learn the basics on how to make sauerkraut, kimchi and pickles. Fermentation techniques are nicely explained so you won’t feel that you are just following the recipe step-by-step but also learning the science behind it. It is important to note that the book only focuses on lacto-fermentation and fermenting vegetables. It does not cover starter cultures or use of whey. Nonetheless, there are many healthy, simple and delicious recipes that you will enjoy making at home. Ferment for Good is a how-to guide for the basics of fermentation. If you looking for a practical approach how to improve your gut health incorporating different ferments into your daily diet, this is the best book you can get. There are many easy recipes covering fermentations of wild vegetables, milk and dairy, grains and Japanese ferments like miso, tamari, soy sauce and pickled ginger. As its title says this is a perfect book for beginners covering around 60 recipes and 13 key ingredients. You will enjoy making healthy recipes by following straightforward and step-by-step guides. This book is a great guide to the art of fermentation and the science of probiotic foods. The book is nicely laid out, easy to read and highly informative. Definitely a great start for a beginner and those that are a bit sceptical about fermenting at home.